Since 4K 60fps/30fps/24fps and 240fps slo-mo full HD came available on iPhone X/8 videos recording, you may feel more challenged to play iPhone videos on other devices like Mac/PC, HDTVs, etc. For example, you may find that iPhone recorded 4K footages failed to be added to your desktop, or that even they're successfully transferred to your device, the playback might be garbled, distorted or laggy in the picture. But that's not the end of the story. The diverse recording modes among 4K, 2.7K, Full HD with high frame rates in modern cameras (GoPro, DJI Mavic, Sony...) also make it tougher to play camcorder videos on your iPhone. Such kinds of problems will work out fine with the advent of VideoProc, a powerful iPhone video converter. Download this program, decide what device to play your iPhone video on, tap RUN and your iPhone recordings will be converted to your desired formats, suitable to preserve, stream, edit or playback on your device & platform, no need to bother with the complicated resolutions, frame rates, 4K HEVC formats, VBR bit rate or other settings. 1. Convert iPhone videos @4K 60fps to playable formats & settings for Mac/PC, HDTV, Android, Instagram, etc. 2. 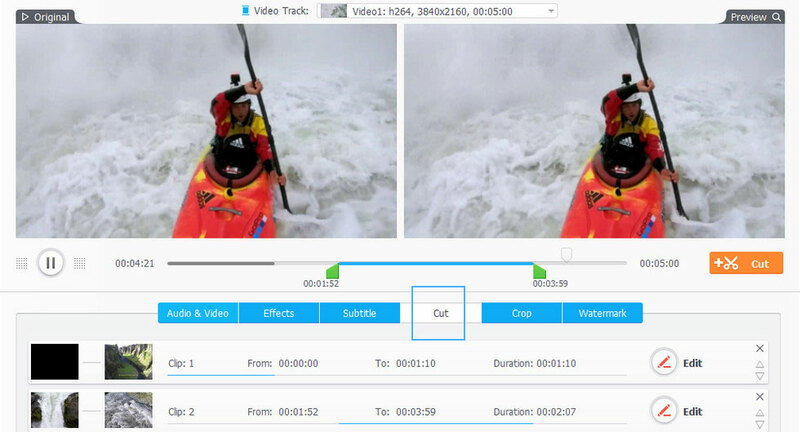 Encode videos (HEVC, MKV, MTS, etc) from DSLR/DJI/GoPro/DVD/Website to MP4 or MOV for iPhone. 3. Adjust FPS, file size, resolution, aspect ratio, codec (e.g. HEVC to h.264), and more flexibly. 4. Edit, cut, crop, merge, record, split, stabilize, slow down/speed up iPhone videos and more. 5. Level-3 HW Acceleration ensures No.1 fast speed and fixes CPU overloading issue in 4K conversion. * Windows 10 and macOS Mojave support. VideoProc is an expert to convert 4K UHD/HD videos from iPhone, GoPro cameras, drones, DSLR, etc. With full support for GPU acceleration, it has super fast speed to convert iPhone HEVC/H.264 videos @60fps. Watch how easy to solve all conversion & playback errors related to iPhone footages with VideoProc. As aforementioned, iPhone users are nagged by various kinds of errors when playing and sharing 4K 60fps footages from iPhone on the computer, HDTV, editing them in Premiere Pro/iMovie, etc. as well as watching GoPro, DJI, DSLR camera, other devices' stunning recordings on iPhone or iPad. The culprits vary from HEVC codecs, high bit rates to iPhone variable frame rate. VideoProc, as the most capable video converter for iPhone, will convert such knotty iPhone or non-iPhone videos to make them 100% playable on any devices and solve all possible failures. In Part 1 we will focus on how VideoProc converts and processes iPhone videos to other formats to make them playable and shareable everywhere. Before we start, let's have a quick view of the videos recorded by iPhone. * MOV file at 720 30fps, 1080P 30fps/60fps, 4K 30fps (iPhone 7 and earlier), 4K 24/30/60fps in iPhone 8/X/XR/XS. Slo-mo videos are recorded in 720p at 120/240fps or 1080P at 120/240 fps. * High-Efficiency Video Coding (HEVC) under the "High Efficiency" option for all iPhones running iOS 11 onwards. Users may feel confused that why iPhone recorded MOV videos won't play on a computer, even a Mac. On macOS, the QuickTime and Photos Apps won't play iPhone videos saying "unsupported format", and the same happens on Windows Media Player and some TVs like Apple TV and Roku TV. By far, HEVC is still a new format with limited compatibility. For example, earlier gens of Google Chromecast, Apple TV, Roku, Amazon TV, and all PlayStation consoles offer no support to HEVC. But iPhone video converter easily converts iPhone videos to MP4 to make iPhone HEVC-encoded files 100% playable on any devices. Step 1: Free download VideoProc and launch it. Then click Video from the main interface. Step 2: Now click the +Video button and import the iPhone MOV videos. Step 3: Select an output format from the bottom Target Format toolbar. You can convert iPhone HEVC to MP4 for wider compatibility, or to convert iPhone HEVC footages to other devices without bothering, click Device. Click the + icon at the end of the bar to find the specific model for your Mac, PC, TV and other mobiles. Step 4: Now click the Run button and the iPhone files will be converted to formats with perfect settings for the device you need. One of the most frequently asked problems about iPhone recordings is that users can't load or import iPhone videos into Premiere Pro, Lightworks, iMovie, Final Cut Pro, Lightroom, and other editors. iPhone video recording uses variable frame rate (VFR) to dynamically change with the real-time shooting object. Most players can handle VFR but when you edit iPhone videos, be sure the editor supports VFR source. The latest versions of Final Cut Pro X and Premiere Pro CC 2018 12.0.1 support VFR, but many others still don't. But you can convert iPhone VFR to CFR easily. Step 1: Still fire up VideoProc on your desktop. Step 2: Click +Video button on the video conversion window and then load your iPhone inputs. Step 3: Select an output format from the bottom Target Format toolbar. Then click the Option button with a gear icon to enter into the video settings page. Find the Frame Rate and select a frame rate or you can even just leave it as default. Step 4: Now click Run button and this iPhone video converter will automatically convert the iPhone variable frame rate to constant. Make sure that you have unchecked the Auto Copy box at the right lower part of the interface. The playback of iPhone 4K 60fps videos places a great burden on both the hardware and software. iPhone videos on VLC player are pretty choppy and jerky and sometimes the screen flashes green or goes blank. Some other players like Plex would automatically transcode iPhone videos as it supports MP4 HEVC video in 30FPS only. But this results in quality loss and video stuttering. In such case, the combination of 4K 2160p and 60fps high frame rate are the main cause of such errors. The resources required for video playback and rendering grow with the frame rate and resolution. For example, a 4K video @30fps is less demanding than the one at 60fps in computational complexity. But when it comes to comparing video resolution with frame rate in computation-intensive degree, most of you vote for video resolution. Thus, for your ordinary computer with medium-level hardware configurations, you're suggested to convert iPhone 4K resolution to 1080P if the player has no specific requirements. VideoProc offers options to adjust the parameters in the Settings page mentioned in the steps above. This video converter for iPhone will also fix iPhone videos upside-down/sideways playback errors. Mostly, the iPhone videos display upside down on video players like VLC and MPlayer. Sometimes, they are in the wrong direction on TV or uploaded to YouTube or FaceBook, though they look perfectly fine on the phone or computer. This is because users may use the volume up/down buttons the record videos and that result in the wrong direction. But Apple motion sensors will rotate the video to make them look right. Some players and converters can't detect the right direction of the imported iPhone videos and thus result in something upside-down/sideways. Step 1: It's the same step as the above part. So just skip this step. Step 2: Now click the +Video button and import the iPhone videos that are upside-down or sideways. Step 4: Now click the Run button and the iPhone video processing software will correct iPhone videos to the right orientation without re-encoding. Sometimes, when playing iPhone MOV videos, users can hear the audio but can't see the picture. This problem occurs on VLC, QuickTime and Windows Media Player. Though in some rare cases, there is video but no audio. Anyway, this problem is mainly caused by 3 reasons: unsupported video codec, corrupted file and problematic hardware decoding. In this case, you can download and install the codec, or convert iPhone MOV video with VideoProc's Level-3 Hardware Acceleration. The steps are simple: import the iPhone video, select H264 (keep excellent balance between file size and quality. Besides, it's the widely used format that supports GPU hardware decoding) and click Run. Unlike the hardware decoding in VLC player that causes the "only audio no video" error with iPhone files, the Level-3 Hardware Acceleration is a unique and very mature tech of VideoProc, which will 5X faster process iPhone videos with aplomb, no data loss issues during processing. 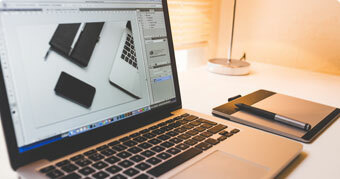 Audio out of sync often happens in iPhone and iPad video recording and with post-production programs like Adobe Premiere. The former may be caused by conflicted apps like internet or WiFi and the latter is mainly caused by the variable frame rate. Therefore, before you process and edit videos from iPhone or iPad, you're suggested to adjust iPhone VFR to CFR and restart your device. But if the audio is out of sync with iPhone videos already, VideoProc can fix iPhone A/V out of sync immediately. Step 1: Click "Video" at the home screen after running VideoProc. Step 2: Now click the +Video button and import the iPhone videos not being in sync with the audio. Step 3: Click the Rotate button below the video info (not the Rotate in ToolBox in Error 4). Check the Recalculate Time Stamp box in the bottom left which will force synchronize the video and audio. Then click Run. You may usually find yourself in a tight spot to upload iPhone 4K/HD footages to social media like YouTube, FaceBook, WhatsApp, etc. without losing quality. Especially on Instagram, it may totally destroy the video quality. To avoid Instagram ruining iPhone video quality after it uploaded, you're suggested to record in 4K UHD as possible, transfer videos from the computer to iPhone using a way that won't compress the video and upload to Instagram on a strong internet. More importantly, you need to process iPhone footages to meet the file size of Instagram, or it will compress the video to bad quality. The 4K video converter for iPhone puts the most advanced compression technology in the palm of your hands. You can reduce iPhone 4K videos to 90% smaller without noticeable quality loss. Below we will take Instagram as an example to show you how to avoid quality loss when uploading iPhone videos to social sites, emails or other services. Step 1: Open VideoProc > choose "Video" at home screen. Step 2: Now click the +Video button and import the iPhone 4K videos. Step 3: According to the above requirements, convert iPhone videos to MP4 H.264 from the bottom Target Format toolbar and click Option button with a gear icon to enter into the video settings page. * First find Frame Rate dropdown menu to convert iPhone 60fps to 30fps. * Now find the Resolution option and select 1080P from the dropdown menu. Step 4: To further shrink iPhone file size, click Edit Video button on the top of the video setting page and click Cut to remove unwanted parts. Drag the green knobs to set the parts you want to reserve and then click the orange Cut button. You cut from the beginning, middle or end and the processed parts will be merged together in the output video. After all the steps, click Run. Since iOS 11, iPhone users are able to record games, videos, activities on the screen. But there is a common complaint on Apple Community and other forums that iOS 12/11 screen recording has no sound on iPhone and iPad. To fix the issue, make sure you have turned on the Microphone Audio first . If iPhone screen still won't record audio, or if there are other annoyances like the red bar on the top of the screen and iPhone screen recording not saving, VideoProc will record iPhone screen with sound in high quality. Step 1: Run VideoProc. Then connect iPhone to computer and Recorder on the main interface. Step 2: Click iPhone icon on the top bar and you will see the screen of your iPhone. Step 3: Set the recording area of the iPhone screen via the Crop option if needed or it will record the full screen by default. Next, click the microphone icon and select the audio you want. You can record the sound from the built-in microphone or system. Step 4: After the above steps, click the REC button to start recording. You can use the iPhone video converter to further transcode, resize, split and process the iPhone screen recordings. iPhone videos are recorded in different aspect ratios. For example, iPhone XS/XR/X use 19.5:9 while iPhone 8/7/6S use 16:9. When you put iPhone videos on a 4:3 TV, displays with other ratio or upload them to YouTube, Instagram, and other social media, some of them won't resize automatically based on the orientation of the iPhone video and there will be unpleasant black bars. VideoProc is a converter that will resize iPhone video aspect ratio to fit the right displays and social sites without losing quality. Step 1: Import the iPhone videos and select an output format from the Target Format bar. * Click the button with a gear icon. Here you can adjust the aspect ratio directly to 16:9, 4:3, 3:2, 5:4, 1:1 and many more. But simply adjust the aspect ratio may distort the image. * Find Resolution and click custom. Enter into a number in proportion to the aspect ratio you need. For example, select 800x800 to convert iPhone videos to 1:1 for Instagram. Then check the Expand Video box which will shrink or enlarge the image and add letterbox when needed. * Click the Edit Video > Crop and Enable Crop. Then select a specific aspect ratio like 16:9, 4:3, 1:1 and start cropping, or select Free to manually crop iPhone videos to any customized aspect ratio of any displays. After that, click Run. In Part 2 we will focus on why videos from other sources like GoPro, DJI, Sony, Nikon, etc. won't play smoothly on iPhone and how to convert videos to iDevices. Similarly, let's have a quick view of the video formats supported by iPhone iPad. * Motion JPEG (M-JPEG) up to 35 Mbps, 1280 by 720 pixels, 30 fps, audio in ulaw, PCM stereo audio in .avi file format. Note: iPhone upgraded to iOS 11 or later support playing HEVC videos up to 1080p. But the playback of HEVC 4K video will be stuttering on older models. Videos from sports cameras, drones, and 4K DSLR camcorders are a mish-mash of unusual video types, high resolutions, bit rate and frame rates, which causes problems playing videos on iPhone and iPad. For example, GoPro and DJI videos are often recorded in 4K/2.7K with 60pfs or slow-mo 2.7K/1080P with 120fps, 240fps, etc. On the one hand, these videos result in extremely large file size that iPhone (especially the space-constrained models) needs more space and harder time to cope with, while on the other hand, the videos with higher resolution consume much more resources such as processor, graphic memory and RAM than those shot in lower resolution. Consequently, some iPhone will end up with lagging and stuttering when playing these video files. Currently, neither Android nor iPhone supports the playback of 4K 4:3 videos taken with GoPro. If you want to play them, you need to use the QuikStories to downscale it or manually do that. While recordings from 4K DSLR cameras are always saved in formats like R3D, MXF, ProRes, AW1, XAVC, AVCHD, AVI, MP4, and others iPhone won't accept. No matter how complicated the video settings are, you can convert unsupported videos to iPhone with VideoProc, which is designed for 4K UHD videos with flawless support for 370+ input codecs. Step 2: Now click the +Video button and import any videos that can't be imported/loaded to iPhone. For example, transfer GoPro videos to iPhone. Step 3: Check if the videos are in any of the iPhone supported formats listed above. If not, select H.264 or H.265 from the bottom Target Format toolbar. Step 4: Adjust the resolution and frame rate. For example, the GoPro 1080P 120fps will not play smoothly on iPhone the highest playback frame rate is 60fps. Click the Option button with a gear icon to enter into the video settings page. Find the Frame Rate dropdown menu and select an iPhone acceptable frame rate. Step 5: Click Run to convert videos to iPhone now. The built-in Level-3 Hardware Acceleration tech allows the 4K iPhone video converter to process DSLR/DJI/GoPro 4K or uncompressed videos with super fast speed. As everyone knows, HEVC is able to store video at the same quality but half the size than H.264. Many users create videos in HEVC instead of H.264 in the hope of reducing storage space. But sooner they find that the HEVC files won't play on iPhone or other Apple devices. "Why? iPhone is supposed to play libx265 (HEVC) codec." Yes, but Apple is limited to hvc1 subcodec while many others produce HEVC using hev1. Handbrake and FFMPEG are the typical examples. VideoProc is among the few HEVC hvc1 encoders that will convert hev1 or others into iPhone supported HEVC file. Step 2: Now click the +Video button and import the HEVC videos that won't play on your iPhone. Step 3: Select Popular > MP4 HEVC from the bottom Target Format toolbar. Now click Run. Then the HEV1 will be encoded to HEVC HVC1 and you can view it on iPhone without any problem. Many a Windows or Android users reported they cannot sync the proprietary AVI, WMV to iPhone, they all have blue dots next to them in iTunes. Or iTunes movie library doesn't let you add files in MKV or other movies and show error message " "[movie] was not copied to the iPhone [name] because it cannot be played on this iPhone." This is because the iPhone is not capable of playing windows media files and other videos that are not in the Apple ecosystem. If playing non-Apple-approved video files on iPhone is a headache for you, there is a workaround. You can convert them into a supported format like MOV, MP4 before syncing them to the iPhone. By far, no iPhone models can play 4K as they don't have a 4K display. The highest resolution comes with iPhone XS/X with 2,436x1,125 pixels 458ppi. But the new iPhone is able to handle 4K videos, though in toned down quality. 4K support varies on different iPhone or iPad models. So far only iPhone XS (MaX), iPhone XR/X/8 (Plus) and 10.5/12.9/11-inch iPad Pros can play 4K videos flawlessly. Playing the high resolution video on older generations earlier than 2016 is still challenging because 4K format requires a massive resource to decode these big amounts of data. In other words, you can't view 4K files with no lag or stuttering, your iPhone will heat up and you will also see a fast battery drain, worse still, iPhone will simply remind you with a message saying unsupported video format. When your device is struggling to play 4K files on iPhone, consider downscaling 4K to 1080P as per the guide in Part 2 Item 1. Speaking of video converter for iPhone iPad, some famous names like Handbrake and FFmpeg may be the first things that come to your mind. You can try them as many of them are free. But you may notice that some of the converters annoyingly don't handle iPhone MOV hevc and 4K 60FPS as usual. In comparison, VideoProc has a more robust performance. Below are some frequently-used converters with some common errors when dealing with iPhone recordings. Handbrake is a simple and fast converter that has built-in profiles for H.265/H.264 and iPhone iPad. More importantly, the latest Handbrake 1.2.0 has added hardware-accelerated encoding from AMD VCE, Nvidia NVENC and Apple VideoToolbox, meaning an even faster converting speed. Handbrake is a popular video converter to fix iPhone VFR to CFR when iPhone clips won't import to editors. But sometimes things go awry with Handbrake. 1. Export HEV1 instead of HVC1. Users feel confused that h.265 movies encoded by Handbrake don't work on iOS11 and 12 as they should be. When you convert videos to iPhone in HEVC, you should note that Handbrake use HEV1 in H.265 but Apple needs it in HVC1. You can switch to H.264, though in large file size especially dealing with 4K files. 2. Choppy/fuzzy output video. After converting 4K iPhone videos from HEVC mov to mp4, the output MP4-video gets choppy and errors alike. This can be the result of forced frame rate conversions and bad HW acceleration. FFmpeg is another powerful and fast tool to convert iPhone 4K videos. 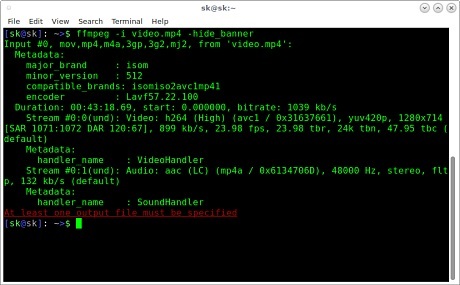 You can use FFmpeg command lines to handle HEVC h.265, h.264, QT, mp3, aac, mpeg-4, etc. However, unless you're capable enough, FFmpeg might be intimidating, and even its official web site is confusing. Once mastered, the iPhone video file converter can demux, decode, encode, crop, stream, merge and do more. 1. Super slow H.265 encoding. FFmpeg is a very fast tool, but it's still not fast enough converting HEVC for iPhone iPad. FFmpeg applies Cuda GPU Acceleration in h.265 and h.264 encoding. Both the H.265 decoding and encoding, by its nature of the codec, is much slower than h.264. If you want to convert iPhone HEVC files or encode h.265 for iDevices, do it on a faster computer and try VideoProc that applies Level-3 Hardware Acceleration for HEVC decoding, processing and encoding simultaneously. 2. Videos are upside down. After converting iPhone .mov files into .mp4, users find that the video in portrait mode is rotated automatically by 90 degrees in VLC. This happens with iPhone videos because the orientation info is recorded in Apple-specific metadata, which can be read by QuickTime but not other players like VLC. FFmpeg will auto rotate the iPhone video so you need to disable that. 3. HEV1 and HVC1. There are also iPhone users reporting that the MP4 h.265 videos converted with FFmpeg won't work on iDevices. Similar to Handbrake, this is the trick between hev1 and hvc1. Fortunately, FFmpeg support both HEV1 and HVC1 codecs, so you only need to switch between them. Some Apple users also use VLC player as a simple iPhone video converter to MP4. Via the Convert/Save option, you can convert iPhone/non-iPhone videos to MPEG, MP4, AVI, Divx, ASF, WMV, or DVD. You can even adjust the video and audio settings like codec, bitrate, frame rate, resolution, filters, etc. Below are several things you need to note. Sometimes when converting iPhone MOV videos in VLC, the progress bar goes through the whole footage but the output is a blank video. The pixel/picture dimensions in some formats won't be handled properly by VLC drivers. This usually results in a corrupt file or no video error. VLC may get stuck converting videos into MP4 for iPhone or decoding iPhone HEVC videos, with the CPU goes to 100%. According to VLC official site, VLC support Nvidia, ATI and Intel hardware accelerated decoding for H.264, MPEG-1, MPEG-2, MPEG-4, WMV3, VC-1 streams only on Windows and only H.264 on Mac/Linux. In other words, the converting speed can be slow dealing with iPhone HEVC .mov videos or other formats. VideoProc helps convert iPhone HEVC @4K 60fps videos for other devices and players, as well as convert videos from other sources for iPhone, ironing out any errors related to iPhone video conversion and playback. It's not only a 4K video converter for iPhone. It converts among 4K HEVC, VP9, AV1 and audio formats like AAC, AC3, MP3, PCM and more. You can use it to make ringtones for iPhone, create GIF from video clips, download YouTube videos to iPhone, and do more. If you have any trouble to get iPhone videos to work or play, free download VideoProc to solve your problem. Hi, I'm Reuben Zaback and I've been an award-winning editor of Digiarty for four years. Writer by day and reader by night, I share programs reviews & tutorials, multimedia solutions, latest tech trends, devices tips, etc. I geek out over Apple products, sports cameras, drones, gadgets and always look to learn something new. My spare time is dominated by sports rehab and part-time study. Learn how to convert iPhone videos from slow motion to normal speed. Learn how to process and edit iPhone 4K/HD video on computer. Easy solution to resize and enhance GoPro 4K/HD videos.